I’m so beyond excited, you guys!! Because I’m sharing yet another macaron recipe. You know me, I’m obsessed with french macarons. Since you can’t find any macaron shops within 100-mile radius, I make them myself! At home. From scratch. And it’s totally doable!! I’ve already shared handful of flavors here on my blog, including my reader-favorite lemon macarons and my personal favorite (also runner-up reader fave) pistachio macarons. And now I’m completely head over heels with these stunning red velvet macarons! Not just for its gorgeous color (let’s admit it, it’s a stunner! ), but the flavor is so, so good! The sweet n’ tangy cream cheese filling, crisp and pleasantly chewy shells with slight hint of cocoa and vanilla. I couldn’t ask for anything better! To make these red velvet version, I started with my base french macaron recipe, which uses much less sugar compared to many recipes out in the wild wide web. I didn’t need to change much though. A little bit of cocoa powder and some red food coloring will get you there. 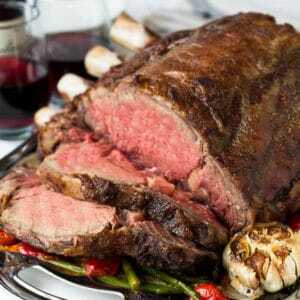 I say some, not a little, food coloring, because it does require quite a bit of it to achieve that rich red color. I figured it’s a special treat and a little food coloring won’t kill us. What’s important is that you have to use gel food coloring though. I love this Wilton one. Liquid food coloring might throw the wet to dry ingredients ratio off. And we all know french macarons are finicky, so better not to change things up, unless, of course, you’re feeling adventurous! Also, don’t even thinking about cutting the sugar, you won’t get the same result. And lastly, here’re step by step photos for you, but all the detailed tips and tricks are laid out in this post, along with visual troubleshooting guide. It’s worth the read, especially if it’s your first time making macarons. You can also watch this video on how I make my macarons from start to finish. See how obsessed I’m with macarons? I’ve prepared these series of posts on all things macarons, so you can create these beauties yourself too. By the way, did I mention you can freeze these macarons? I have a stash of these in my freezer and I actually just pulled couple out to snack while I write this post. Mmm, you see that crisp shell and full chewy interior?? That’s exactly what you want! Have you tried making macarons before? I’d love to hear your experience and what challenges you’ve encountered. Transfer the filling into a pastry bag and fill the macarons. It’s best to serve macarons the next day. For step by step photos, read the post above. Great recipe! I doubled the macaron recipe and halved the frosting and had the perfect amount! Thank you so much for your feedback, Michelle. So happy yours turned out great! Fantastic! Thank you for your feedback, JUVY! Amazing! This was the first time I tried to make macarons and they turned out great! Followed the recipe exactly and weighed all the ingredients on kitchen scales. The detailed instructions were what made this possible. Many thanks!!! Yay, so happy for you, Ana. Thank you for your feedback! Hi! I have made both the red velvet and chocolate macarons and both of them had batter that was too thick. They tasted great but cracked on top and are wrinkly. I weighed my egg whites at 70 grams. Should I be using more? Thanks! Hi, Stephanie. Were the shells soft too? If so, it usually happens when there is too much moisture. And more egg whites definitely won’t help. I’m curious, is it humid where you live? Also what kind/brand of cocoa powder did you use? I’m trying to figure out why some people (not everyone) has thick batter issue. I suspect it may be related to the cocoa powder. So this info will help me tremendously. Thank you for reaching out! I just made your recipe and it tastes amazing!! I do have a question, though. The tops of my macaroons kind of curdled, is there a specific reason why? Thank you! Unfortunately, I don’t know how to count carbs, J.
Hi Shinee! Made these for the first time and they turned out pretty great – everyone loved them. Thank you so much for sharing your expertise and experience. I especially loved your visual troubleshooting guide. Many thanks again! Awesome. So glad the step by step photos were helpful. Thank you for your feedback, Aileen. Hi there. I’d try adding a little bit more egg whites, like 5gr or so. See if that helps. Let me know. Your recipe stinks! Ours was chunky! Hi, Je. I’m afraid your macarons turned out chunky not because of my recipe, but due to the quality of your almond flour. What kind of almond flour did you use? First time macaroon maker…followed your recipe exactly as listed and they turned out perfect! Can’t wait to throw a Santa belt and couple buttons on them to deliver as Christmas gifts. Thanks for a delicious and easy to follow recipe! Super cool, Danielle. I bet they turned out super cute!!! Thank you for your feedback. Best macaron recipe I have ever tried. They came out perfect! No cracks and they were so super glossy and airy. Yay, so happy for your macaron success, Pharah!! Thank you for your feedback. They did not work at all!!! They were very grainy and the color didn’t hold well at all. I am very disappointed in this. Though I am not saying its your fault, I have not made many macarons and so this may be my fault alone. Hi, Kayla. Thank you for your feedback. And sorry yours didn’t turn out. Hope you didn’t give up on macarons though. 🙂 If it’s your first macaron adventure, I’d highly recommend mastering the basic macaron recipe, and then move on to more complicated (flavored) ones. To help you with troubleshooting, I have a few questions. Did you weigh dry ingredients or did you use cups to measure the almond flour and powdered sugar? Also did you weigh the egg whites, or did you use 2 eggs whites. Since your batter was grainy, I’m suspecting the ratio of dry ingredients vs egg whites might have been off, which is very easy to do if you measured the dry ingredients by cups, and/or you didn’t weigh the egg whites. Hope this helps, Kayla! I made this recipe and the first batch didn’t turn out so well, but I tried again and they look perfect. The recipe even worked with liquid food coloring, even if mine are a little pink(I was trying to not add too much liquid) but great work. Hi, Ashlee. So happy to hear your macaron success. Thank you for sharing your experience! 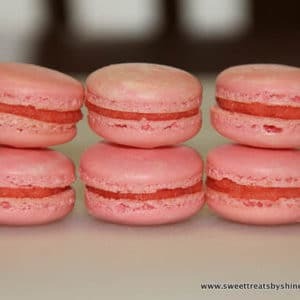 I have a newbie of making macaroons and had been searching a good recipe that has good tips too. This one is a very good and easy to follow recipe and turn out my macaroons were pretty nice in shape and taste, I strongly recommend to follow it. Yay, thank you so much for your feedback, Millie! So happy you had macaron success!!! 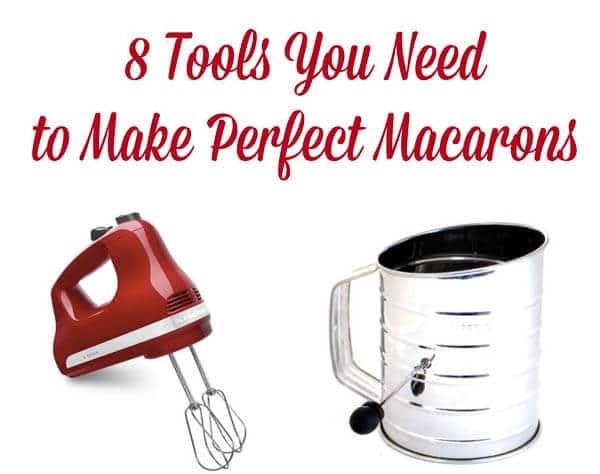 I did everything by mass yet the batter was extremely thick and I don’t think there were enough egg whites (the figure-8 test that should work for all good macaron batters was fruitless no matter how many times I mixed. They still tasted good though, the cookies just ended up coming out strange. I have made macarons many times before so I don’t think it was much if an issue with my technique. Amy, thanks so much for trying my recipe and providing feedback. And I’m sorry to hear they didn’t turn out perfect. One question… Did you weigh the egg whites as well? Or did you go by 2 eggs? Hello. I make macarons a lot and this was a great recipe. the only problem I had was the temperature and the time to cook. Macarons should be cooked on about 250-285. Not 300. Also they cook for about 13-15 minutes not 18. My macarons were severely burned on the bottoms even though I watched carefully and made sure the rank wasn’t too low or too high. You may want to change that temp. Hi, Payton! Thanks for your comment. And I’m glad my recipe worked for you (sorry about the burn though!). As for oven temperature, I have to say everyone’s oven work differently. The time and temperature specified in my macaron recipes are what works for my oven, and I have an oven thermometer to monitor the accuracy of the oven temperature, and I don’t have fan. But now you know what temp and time works for your oven. This recipe is horrible! I tried 2x and both came out like cakey cookies and didn’t even taste good. For true macarons, you need more powdered sugar than almond flour in the dry mixture. Anyway, I wish I had read the comments first and made a lot of changes. Or just went with a different recipe altogether. Hi, Sammy. Sorry to hear the recipe didn’t work out for you. But I’m glad you found a recipe that works for you. As for texture of macarons, I think it’s an opinion of taste. I don’t like my macarons too crispy and meringue-like, which is usually due to excess sugar. And I’m surprised your macarons came out cake-y though. Did you weigh the ingredients, or you measured by cups? I have found a recipe that says that i can use raw sunflower seeds instead of almond flour, have you heard of this? My youngest really wants to make some but he us allergic to tree nuts…Thank you! Hi, Adeline. I have never made macarons with raw sunflower seeds, and have no idea how it’d turn out. 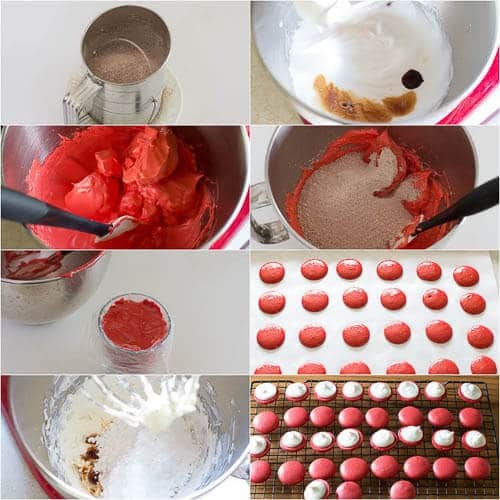 I am looking for a red velvet macaron recipe and really want to try yours. I feel like many macaron recipes I’ve seen use a greater volume of confectioner’s sugar to almond flour. I was wondering why you use less sugar, like for the taste or structure of the shell? I ended up trying the recipe, and the batter did turn out incredibly stiff and grainy. I threw out the batter, and tried it again, switching the volumes for the almond flour and the sugar and using half the vanilla and the macarons ended up nearly perfect (a few slightly hollow towards the top)…I won’t give you a bad rating, but just letting you know that there may be an issue with your recipe. it could also totally be my fault, maybe I didn’t use enough egg whites when I tried yours. But I do think that there may be a good reason for why most recipes use more confectioner’s sugar than almond flour. Hi, Simone! Sorry I didn’t respond to your first comment. Yeah, my macaron recipe does have less sugar than others, but I like it that way and it works with no problem. However, egg whites amount is incredibly important. 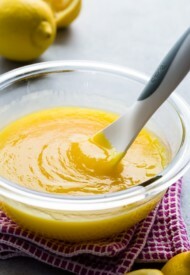 Even as little as 3-5gr less egg whites does yield thick batter. I’m planning on updating all my macaron recipes to only indicate the weight of egg whites, instead of quantity. But any way, I’m glad you found a recipe that works for you. Thank you so much for your feedback!! Hi, Emily! Interesting that your results are basically opposite from my outcome. I find the macarons with more sugar come out crisp and light, like meringue cookies. My macarons come out chewy, and more almond-y. Cream of tartar won’t make much effect on the crunchy, meringue-like texture though, because it simply helps to stabilize the egg whites. I’ve made my macarons with and without cream of tartar with pretty much the same results. Thank you so much for your detailed and well explained recipes for macarons. I had hit and miss success with macarons until I followed your recipes. I have made pistachio, hazelnut, and red velvet and have ventured out with coconut “coques” with a chocolate and almond ganache and also coffee “coques” with a “pralin” ganache which my husband said was like eating a “Paris brest” pastry. My husband and our guests have given me rave reviews. Macarons are now a delight to made instead of a frustrating experience. Merci beaucoup! Hi, Deborah! Yay, so happy to hear that my recipe works great for you! And your flavors sound amazing!!! Thank you SO much for your feedback!! Hi Shinee, what a great receipt!! But I had a problem, when I had filled them, the next day, the surface of the macarons were wet and some of them destroyed. How can I avoid this? Hi, Jess! It’s really hard to say what happened. Did they have nice, smooth and hard shell on the first day? I just started making macarons and addicted and frustrated in making them. I can’t get it perfect. They turn out okay but not as good as like what bakeries make. And I really am determined I can make them like the ones I buy from bakery. I hope I can make it as beautiful as yours. I totally understand what you mean, Patrick. Making macarons can be either extremely satisfying, or totally frustrating! Where do you think your macarons are lacking? Tried this recipe, unfortunately my meringue kept falling as soon as I added the gel food coloring. Because the peaks fell i feel it contributed to my fairly flat macroons. Did taste delicous though. Any advice on the issues i had? Hi, Cynthia. I’m sorry to hear you had problem with the meringue. What brand food coloring did you use? I’ve never had that happen to me,, and I use gel food coloring in my macarons all the time. I only used Wilton and AmeriColor brand gel coloring though. I am getting a great flavor and no complaints from friends who eating these, thanks for the recipe. I am having texture problems though, they are coming out kind of grainy looking or bumpy and pink. I’d love for them to be more red and smooth like your final product, any suggestions?Cream cheese frosting is great too, I’ve made a thousand times but maybe the cream makes the difference. Hi, Patty. 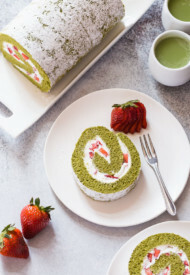 So glad you and your friends are enjoying the macarons.It sounds like your almond flour is a bit on coarse side, so I’d suggest pulsing it in a food processor a few times to make them finer. I personally use super fine almond flour (specifically this one), and it doesn’t require pulsing in a food processor. As for color, what kind of food coloring are you using? I find gel food coloring gives best red color. 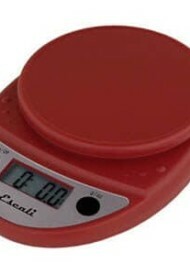 Can you give more information about weighing? I have a food scale. Hi, Shawn. What exactly would you like to know about weighing the ingredients? Thank you so much for this post. The macaroons were almost perfect, which is a big achievement as it was my first time making these. I am motivated to try different flavors now. Cheers to all baking lovers. Hi, Sayeeda! So happy that your first macarons were success. Thank you for your feedback. And cheers to many more macarons! Thank you so much for this recipe. I love baking but had never made macaroons before. I tried this recipe and the result was close to perfect. I am motivated to try more flavors now. I want to try these so badly, but I’m so afraid to fail! I’ve never made macarons before. I love making desserts and these look beautiful! I’m a bit intimidated about weighing instead of measuring. Also about the oven temperature. Hi! I was just wondering what I could’ve done wrong when making these. The batter for me came out sort of grainy and it was very thick. I used the right amount of egg white and I used bob’s red mill almond flour. Any help would be appreciated! Me too, thick and grainy, stirring like the video but never got to lava stage. Not sure how to improve the consistency. Love this website and all the pictures/videos. Hi, Coburn. I was able to recreate thick batter issue couple of weeks ago, when I used 2 smaller eggs, which yielded about 63gr of egg whites. To confirm my suspicion, will you let me know how many grams of egg whites you used? Thank you for helping me find the resolution for this issue!! Ok, thanks for your input. That helps a lot. I highly recommend measuring all the ingredients by weight to make macarons. You’ll get way better success that way. Good luck! worked fine even though I substituted gel food colouring for liquid food colouring, and the heavy cream for milk. I’m sure that if I had all the proper ingredients this recipe would have worked perfectly. 5 stars. Yay, so happy your macarons turned out great. Thank you for your feedback, Jessie! Hi there- I made these tonight and they’re in the oven now. The batter worked wonderfully and they’re looking good. Just one issue – I only had enough batter for 20 shells or 10 completed cookies. I did my measurements by volume (not weight), but I cant imagine that accounts for an additional 15 cookies?? any idea what could have happened? Hey Sarah. Sorry for delay in my response. Interesting! How big of macarons did you get? Mine are 1.5-inch rounds. Could red velvet cake mix be used as a substitute for the cocoa powder to make sure the color is the vibrant red we’re aiming for? Hi, Rebecca. No, you can’t use cake mix for cocoa powder. I’d suggest using a good quality food coloring. Hi Shinee, i just tried to make this. I made macarons before i thought this one is perfect for Christmas. I got confused when my batter never got thinner. I folded so many times but somehow it stayed thick. Can you suggest me why? I did everything the recipe called. I measured and sifted everything. And i still tried baking them although i know they would definitely failed. 150C the first 10 min they cracked, developed a bit of feet but soon gone. After 20min still soft and stick to the paper, so over all i baked them for around 40 min & still not crisp shells. If you can help me troubleshoot that would be great. Thank you. Hi, Mona. I’m sorry to hear you too had trouble with thick batter. I’d love to troubleshoot it with you. Can you tell me if you weighed the egg whites, or did you use 2 egg whites without weighing them? Thanks! Exact same thing happened to me. Weighed all my ingredients, it stayed super thick and they all cracked in the oven. Hi, Kimmie. Would you please let me know how many grams of egg whites did you use? I’m trying to get the reason for this issue, and your answer will be very helpful. Thanks! 70g exactly. I weighed it on the food scale. Ok, that should be good. Thanks for responding, Kimmie. It helps. Would you mind sharing what type of almond flour you used? 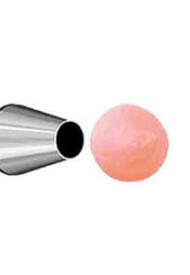 You can omit cream of tartar, if you don’t have it. It helps stabilize the egg whites though, but no big deal if you miss it. Where is the recipe? You didn’t include it. The video told me about funfetti macarons, not red velvet! Recipe card is above the comments. If you had clicked on red “Skip to Recipe” button right at the top (next to the title), it would have taken you straight to the recipe! And FYI, the rating is for those who tried the recipe and rate the final result. Not for those who was unable to find the recipe and to show the frustration! Would there be an issue to reduce the amount of power sugar in the filling? Hi, Linna. The sugar helps with consistency of the filling. If you reduce the sugar, the filling might be a bit runnier. Your recipe says 3/4 cup powdered sugar and it should be 1 and 3/4 cup. That’s why the batter is so thick. It has more almond than sugar. Hi, Brandy. Actually the measurements are correct. If you put 1 and 3/4 cup of powdered sugar, there’ll be way too much dry ingredients. No, because comparing your recipe to others it needs more powder sugar. Also you said beat until foamy for the shell part but noticed, making another macaron, that you need to beat them until hard peaks and then add the vanilla. Hi, Bob. Well, I wouldn’t recommend comparing different recipes and say one is wrong and the other is right. The ratio is the most important. This recipe works for me, and for a lot of other readers. As for the egg whites, you obviously didn’t read the whole directions. We’re beating the egg whites to foamy and then add cream of tartar, AND THEN continue to beat till hard peaks. Um, no. Comparing a LOT of other recipe your measurements are weird. Also there were quite a few comments about the shell batter coming out too think and not thinning. And YES, I read the instructions, we did do that, and it still didn’t come out right. You admitted in one of the comments that you couldn’t recreate this recipe. Oh my gosh, you must have misunderstood my comment. I meant I can’t recreate the thick batter issue, not the recipe!! I have a lot of variations of french macarons on my site with the same base recipe, and it works! If you don’t believe me, check out my other macaron recipes, and check out this page where a lot of readers had made beautiful macarons following my recipe. I feel like you’re quick to judge before trying to understand what I wrote. Please feel free to use/follow other macaron recipes you saw on the internet that looks right to you. Thanks for stopping by. I have used your recipe before and it turned out wonderfully! However, the past few times I’ve made it again it hasn’t been turning out. During macaronage, it doesn’t thin out…. just thickens. Any tips on why this could be happening? Hey, Valerie. This is the problem a few people have, but I just can’t recreate it for some reason. And I have no idea what causes it. To help me troubleshoot, can you let me know if you had changed almond flour brand. And do you weigh the ingredients, or measure them by cups? The first batch I did change the brand of almond flour (which I thought was the problem). The second and third batch, I went back to my usual brand which is Bob’s Red Mill but the results were still the same. I weigh my ingredients. I do everything the exact same as I have always done. That’s interesting and it makes it so hard to understand what causes this issue. But thank you for providing more details, Valerie. I just don’t know what to advise. Yes, macarons freeze beautifully. I freeze them filled, but either way is fine. You don’t need to prepare them any special way, but I like to freeze them on a plate first, then stack them against each other in a ziploc bags. If you’re freezing for a long time, say more than a week, I would double bag them to prevent freezer burn. Make sure to squeeze out all the air. Hope this helps. Awesome!! I wanted to make them for a cookie exchange party and I need to make AT least 12 doz and making that many right before the party (which I am a co-host) with all the other stuff I have to make was looking impossible. THANK YOU!!!!! Thanks for the lovely recipe! I’ve been trying to try different mac recipes out and find my best fit. Do you weigh your ingredients before or after the sifting stage? Hi, Anna. I weigh the ingredients before sifting. If you get some dry ingredients in the sifter, it’s fine to toss it as long as it’s no more than 2 tablespoons. Could you try making one of your macaron recipes using the Italian meringue method? 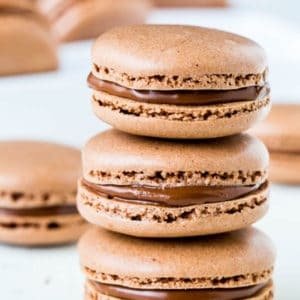 All the recipes I have found using the Italian method are packed with sugar, and your recipe has the least amount of sugar, of any macaron recipe I have found. However, you use the French method, which I find to yield less stable results than the Italian meringue method. Thanks! My color is an ugly brown red it was pink and first so I added for color jell and now it’s gross looking any suggestions??! Hi, Megan. Hmm, what kind of food coloring did you use? I use this Wilton gel coloring, and never have a problem with getting bright red color. Also I hope you didn’t accidentally added too cocoa powder as it’ll add more brown color to the batter. 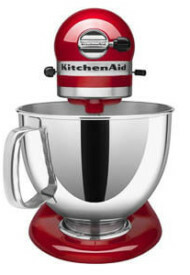 Another thing to keep in mind, the batter won’t be beautiful red color, but macarons come out bright and red. I’m not sure if you referred to the batter color, or the baked macaron color. Hope this helps. This may be the dumbest question of all time but… I made these and they were delicious. The only problem is, I would love to make them a more traditional macaron color but the cocoa just makes everything look muddy. 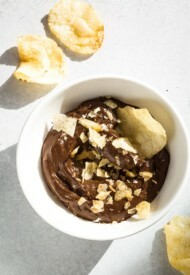 Do you think a chocolate extract that doesn’t distort the color could work in this recipe? Hi, Lauren! Not dumb question at all! You’ll need to be careful with adding liquids to macaron batter, because then you can get into troubles! Macarons don’t like extra moisture, but that being said I’ve successfully used extracts and additional liquid flavors in the past. My advice is to add no more than 1/2 teaspoon of additional liquids, since this recipe already has vanilla extract. Hope it works out. Let me know. I would love to make these macaroons for my boyfriend but he is allergic to nuts. 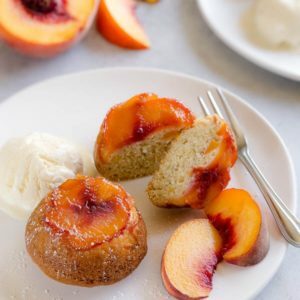 Is almond flour a must or can i use a different kind of flour? I’ve seen them made with corn starch and with just cocoa powder for nut free people. The most important part of the macaron is the lightly defaulted meringue. Though I would say you should practice with almond flour a few times before moving up to more complicated techniques. Oh that sounds interesting, Adam. Cornstarch?? I don’t understand how it’ll work though. Is it corn meal by chance? Wow my comment was a train wreck indeed. In any case I can email you the link directly so you can take a look. As a macaron baker it was eye opening to see all the substitutions that actually work knowing how finicky these can be. Thanks, Adam, for sharing that link! It sure sounds interesting and I can’t wait to try it! Thanks for sharing this recipe, my red velvet macarons were perfect because of it. How I wish I could share the pictures of my macarons here. Aww, so happy for you, Neliza!! I’d love to see the photo. You can submit it on this page. (There’s a red submit button and you can attach the photo). Merry Christmas! Hi, does it matter if you use unsalted or salted butter? Not really, but I like unsalted butter over salted for its clean taste. If you’re using salted butter, don’t add salt. What exactly is “red velvet” about these? Just the color? Is the main taste of these is cream cheese?? Oh right I forgot about the cocoa! Thanks! Hi! These look so perfect but I just made them and they came out with no feet and cracked all on the top!! I’m so bummed. Was going to bring them to a pampered chef party and now I feel embarrassed to bring them looking like they do! I’ve made French macaroons before and never had a problem! Hi, Chanel! So sad to hear yours didn’t turn out well. A few things could have went wrong. 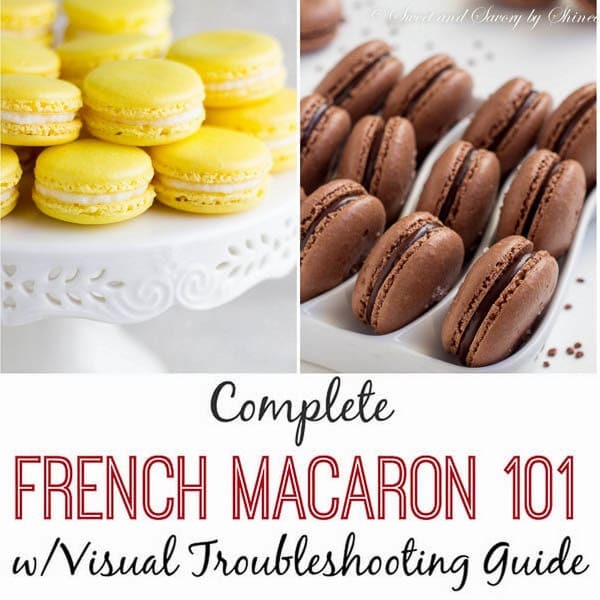 Have you seen my Macaron Troubleshooting Guide? If not, take a look, it might help you to figure out the problem. But I think the batter might have been over-mixed, which causes no feet issue with cracked top. Yes I use an oven thermometer all of the time since I bake cakes and cookies throughout the month. I am a cottage baker so I always go by the oven thermometer and have figured out the hot and cold spots in my oven. It could also just be that your recipe doesn’t work well in my environment. I live in Houston, TX so it’s humid every day of the year. But it’s just weird that I can successfully create other macaron recipes but no yours. No Shinee I didn’t have a crisp shell. I had a soft shell instead. Like I said my other comment, they looked perfect so I expected them to have a crisp shell but they didn’t. And I’ll also add that they stuck to the parchment paper so I had a difficult time removing them. I baked them at 300F for 20 minutes and thoroughly let them cool. I weighed the almond flour and powdered sugar and used cup measurements for everything else. What do you do? Would it really make that much of a difference? I will try the recipe again in a few weeks because I admit that I did use my larger (6qt) stand mixer to make the batter. The whisk barely touched the eggs and I had to beat on high for a longer time to get the egg whites to the correct consistency. That may be the issue. I’ll use my 4 qt mixer next time. Interesting! Thanks for more details. I asked if you weighed the dry ingredients to see if those were measured precisely. Measuring by cup doesn’t always turn out accurate, so I always weigh all of my ingredients. In my 4th image, you can see how my macarons had that signature crisp crust. I’m so puzzled because you said that your macarons had feet and shiny top and everything, so it seems like the batter was right, but the only problem is the texture was off. Other potential culprits could be humidity and oven temperature. Let me know if you give this a try and how they turn out. I tried the recipe again and did everything by weight this time just in case. I baked about 10-15 minutes longer until they had the crisp shell which I could clearly feel. They looked perfect and didn’t stick to the parchment paper but I was once again disappointed when I saw that they were rock hard on the bottom. I’m not sure what the problem is since I have tried a few other recipes and they work perfectly. Those recipes are also baked at 300F but their ingredient ratios are different. I’m stumped. Hey, Amanda. Thanks for reporting back. So you baked the macarons 30-35 minutes total? That seems to be way too long. And this time they turned out too hard, not cake-like? 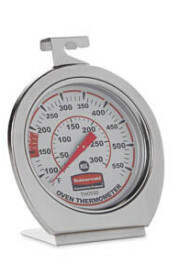 Do you have an oven thermometer by chance? I’d recommend to make sure your oven tempt is accurate, most ovens vary up to 50° either way. I have some egg whites in the fridge, I now want to make these again and bake at low oven temp to see if I can recreate the issue. But it’s raining cats and dogs and humidity is too high, so it’s not a great day to test it. Can the dry ingredients be sifted the day before? Trying to see if I can save some time. I made them last night. They looked perfect. Smooth and somewhat shiny shell and good foot formation. But they were too chewy. I’ve made Macarons before and they have a crisp shell and somewhat chewy on the inside. They tasted good but these were almost cake-like and I felt like I was eating a mini red velvet whoopie pie, not a macaron. Not sure if they are supposed to be that chewy but I followed your recipe exactly. I did notice that your recipe only calls for 2 egg whites. That seemed a little low to me since every other recipe I made called for 3-4 egg whites. Hmm, that’s interesting, Amanda. So yours didn’t have that crisp shell? I’ve never had that cake-like texture, so completely stumped. As for the amount of egg whites, it’s all depends on the ratio. If the recipe calls for 3-4 egg whites, my guess is it probably calls for more almond flour and sugar. Anyway, did you weight the dry ingredients, or did you use cups to measure? Do you need blanched or unblanched almond flour for this recipe?? So excited to try but cannot find almond flour so I will have to make my own. 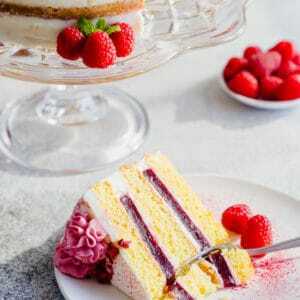 I have to make something around red velvet cake/cookies for a friend’s birthday in August. Saving it. Awesome. Let me know how they turn out if you try this. Thanks, Aish! Macarons on are my bucket list of things I must bake – you make it look so easy, and they came out perfect for you! Wow these macaroons look so perfect! I’ve tried baking them once and failed, but might try again following your recipe to see how do they turn out! Diana, practice makes these perfect. I have a detailed Macaron 101 post. Check it out before trying again. You’ve taken two of the most popular desserts of the moment and combined them into one. Genius! I bet these are a hit wherever you bring them! Sarah, they’re so good! I have some in the freezer and like to snack on daily! !